With the season-long fantasy competitions all done and dusted, it’s all Moneyball, all the time! 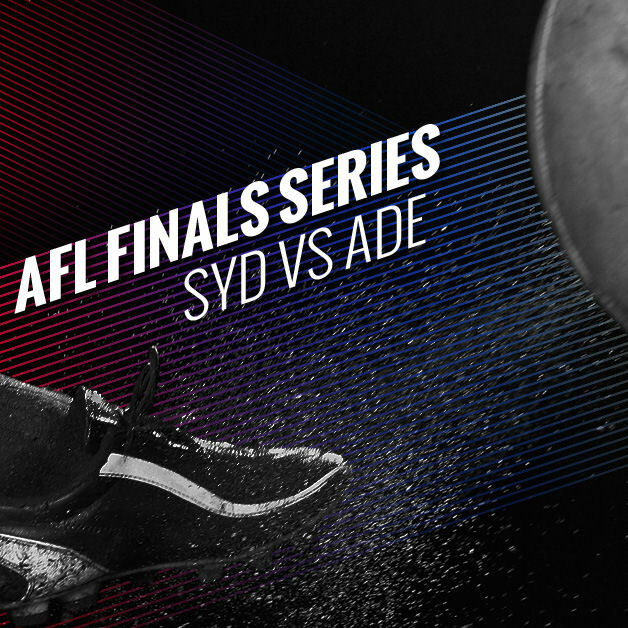 Jump inside to soak up the top DFS tips for both AFL matches over the second week of Finals. Ben McEvoy ($5,600 RU) – Showed enough last week (30 hitouts against a three-pronged Geelong ruck divison) to suggest that he’ll fare a lot better fantasy-wise this week with a dry deck and only Jordan Roughead to contend with. His 96 against the Bulldogs earlier in the year is almost irrelevant, as he was second-in-command after Ceglar and relied on a couple of sausage rolls up forward to reach a noteworthy score. Still, it’s something to hang your hat on if you’re unsure where to throw your ruck cash, and we chatted last week about how potent the Big Boy was last season for a 10-game stretch as the big banana. Caleb Daniel ($6,800 FWD) – much like his slightly taller and slightly senior teammate in Dahlhaus, the diminutive Daniel was busy with 100 MB last week (31 touches) to go with a red-hot performance against the Hawks last time, top-scoring with 131 MB. The little dudes just match up so well with the triple premiership side, so there’s value not to be missed here. Will likely get a run-with job with Mitchell after the resounding success last time around. Josh Gibson ($6,800 DEF) has unleashed some monster scores this year (4 scores over 125 this season) and is a risk well worth considering if he can get his intercept game going. Brendan Whitecross ($5,600 MID) – Being the finals, there’s not a lot of fresh Moneyball meat on offer, so you have to save the money where you can. He’s nowhere near as cheap as he once was, but WhiteX has carved out a nice little niche in the Hawthorn machine that’s helped him churn out a solid stream of fantasy points. 92 MB last week and if he hits that mark again this week, he’ll the bargain buy you wish you didn’t miss. Luke Dahlhaus ($7,800 MID) – Top-scored with 131 MB against the Eagles thanks to a balanced stat sheet of 29 touches, 6 marks and 9 tackles and is slowly turning up the heat as we head into knock-out finals. Pumped out 126 MB against the Hawks last time, collecting 21 contested possessions – it’s been well-publicised over this season how poorly the Hawks fare in that stat, so Dahlhaus should have the inside ball to himself on Friday night. Additionally, Liberatore/Macrae’s returns allowing him to return to more of that inside role which should help him capitalise even further, as Dahl averages 6 tackles with that pair in the side compared to just 3.75 without them this year. Jason Johanissen ($8,300 DEF) – Hasn’t put a toe out of place since returning from that hamstring tear, averaging 99 and putting the exclamation point on his hot streak with 155 against the Bombers and 127 MB against the Eagles recently. JJ is your perfect Moneyball backman – high kick-to-handball ratio with juicy mark numbers – putting him at the top of the wish list for Friday night. Jordan Lewis ($9,600 MID) – One thing you can trust with Lewis is form, having scored 100 MB or better in an incredible 14 straight weeks! 36 touches and 11 marks last week for a season-high 156 MB suggests that the veteran is in excellent shape, and, if you’re a superstitious type, Lewis hasn’t dropped below the century mark in 3 Semi Finals over his career. A low-risk way to spend your big bucks on someone with a high ceiling. Eddie Betts ($7,100 FWD) – 4 goals against the Swans last time (109 MB) and another 6 goals (92 MB) on the weekend means that Eddie has big green ticks next to the Moneyball KPI’s this week. In saying that, he’s not your typical accumulator type and if he gets shut-down by the Sydney defence, he doesn’t have the statistical foundation to keep him afloat – Betts has produced sub-70 scores on 7 occasions this season. Sam Naismith ($4,600 RU) – No Tippett presumably means the #1 ruck mantle is back in Naismith’s sights, where he produced scores of 73, 90 and 93 in a row in the latter stages on this season. Your classic injury-replacement DFS pick, provided that Nankervis doesn’t sneak in and steal his thunder. Dane Rampe ($6,200 DEF) – recent form has Rampe looking more like a Laird type than his standard lockdown self, averaging 8 marks a game and scoring 89, 91 and 85 MB in the past three weeks – obviously a sensational return for his price. Fun fact: that 85 MB last week against the Giants came after scoring a big fat 0 fantasy points in the first quarter, proving that Rampe can score quickly when required. Jake Lloyd ($7,900 MID) – No midfielder at Sydney even remotely gets close to Lloyd’s minuscule Contested Possession rate of 29% (Titch next at 42%), which means that they have a specific role in mind for Lloyd to play and they’ll work hard to get him the footy. In other words, he’s Sydney’s Andrew Gaff (whose CP ratio is 25%), and is one of the reason why he’s hasn’t dropped below 24 touches in the past 7 weeks, including a low score of 78 MB in that time. If they’re hellbent on getting Lloyd the pill, at that price, you should be hellbent on selecting him. Jarryd Lyons ($7,800 MID) – Incredibly consistent cog in Adelaide’s midfield, Lyons hasn’t dropped below 19 touches or 80 MB points in the past 15 weeks. Wow. 110 MB last week so form is red-hot and will be hard to overlook when you’re inevitably running short of currency when forming your squad. Matt Crouch ($8,500 MID) – equal-high possession winner for the Crows last week and is now a lock for 90+ against the 2nd-easiest midfield to score against in 2016. No player in this contest has scored more MB points than the younger Crouch in the past 3 weeks, and it’s not even close. Lock for me. Rory Laird ($8,500 DEF) – one of the most reliable Moneyball options in recent history, there’s no one better to anchor your side. While I personally like the idea of chasing value in defence this week so I can feast on the swathe of MID options available to us in this match-up, there’s nothing wrong with doing the reverse and slotting in Laird as your set & forget backman this week, because you’re guaranteed a 90. Rory Sloane ($9,000 MID) – The other half of the Rory Combo, Sloane was the Crows’ best MB performer the last time these sides met in Round 4 with 118 MB, and fits the mould of the kind of player (highly contested, influential) that seems to capitalise on Sydney’s preference to go H2H in the midfield these days. Price is a big concern though, and you’ll have to make concessions elsewhere to afford him over cheaper options in the guts.